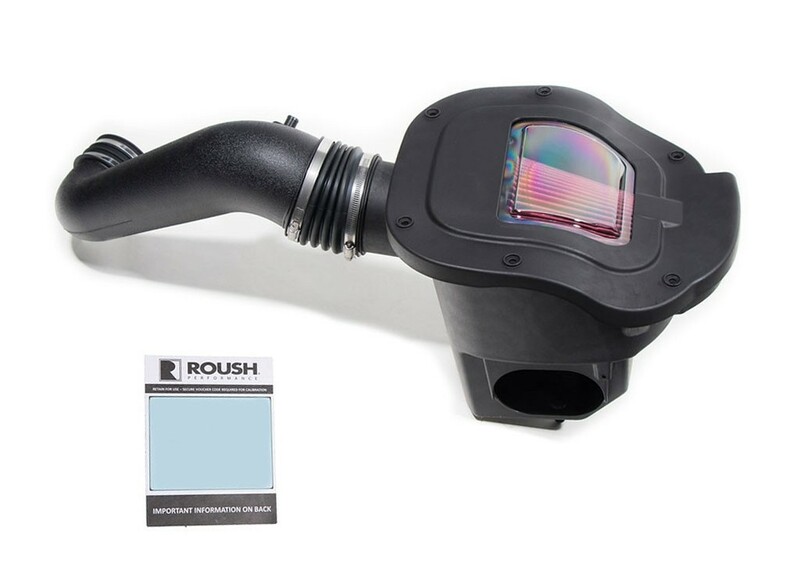 Easily unleash your F-150’s maximum potential with the new ROUSH Level 1 Performance Pac. Experience a sportier drive with more aggressive throttle mapping calibrated specifically for the F-150. 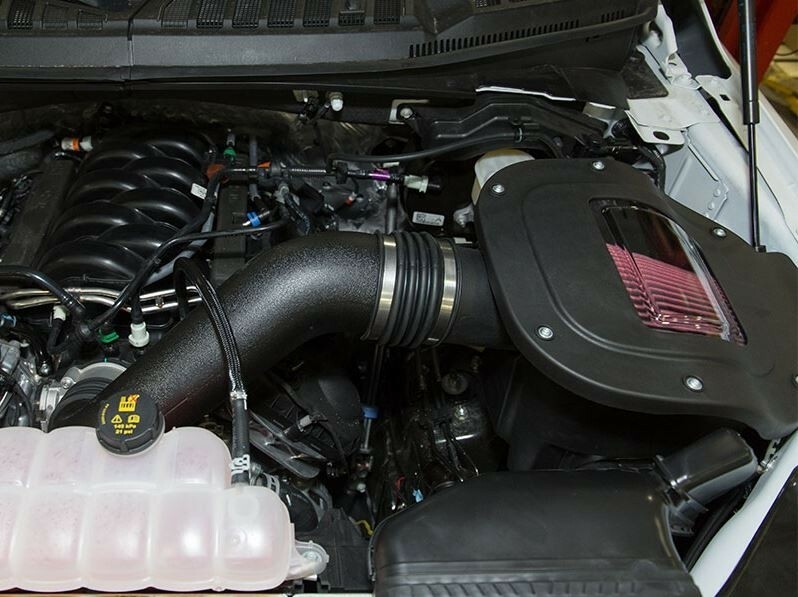 The newly-designed ROUSH Performance Cold Air Intake Kit is highly engineered to fit the F-150 perfectly. The increased inlet and larger air-box maximize airflow and add a signature induction sound. The specially-designed "see-through" lens on top of the air box displays the air filter as if it were an open air-box. Easily install the Performance Pac in just one hour. 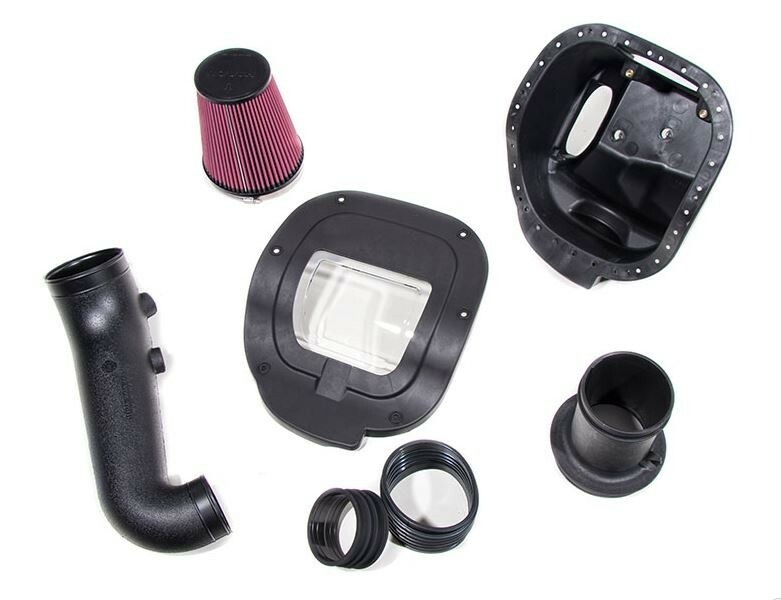 The kit includes the air filter with clamp, oversized injection-molded air box tray, a clean air tube, 105mm mass airflow tube and all required mounting hardware. EPDM rubber couplers are used for seamless fitment under engine load, rocking, and twisting, and will not void your factory warranty. Note: May require dealer assistance for calibration delivery method to vehicle PCM.